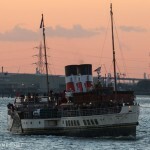 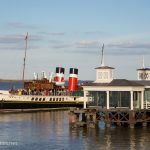 As the historic paddle steamer Waverley continues her Thames season, here's some photographs of the famous vessel as she passed Woolwich a few days ago. 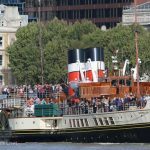 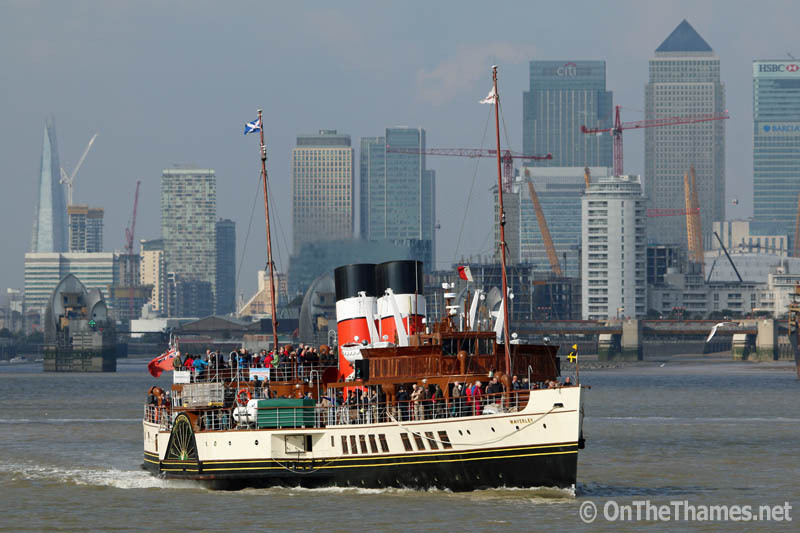 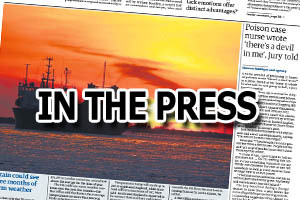 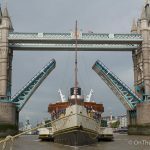 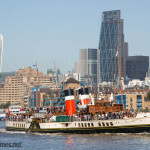 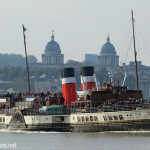 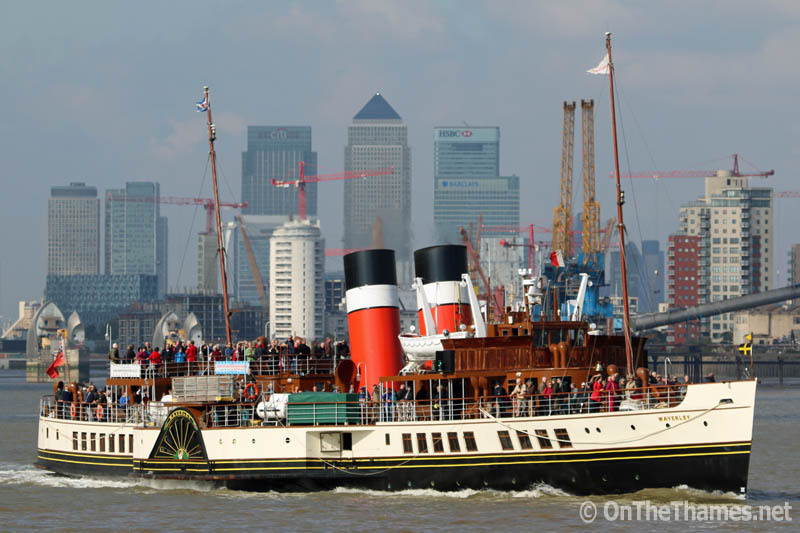 Recent photographs by OnTheThames.net of Waverley at Tower Bridge were picked up by the Scottish edition of the Sun and have been added to our In The Press page of cuttings. 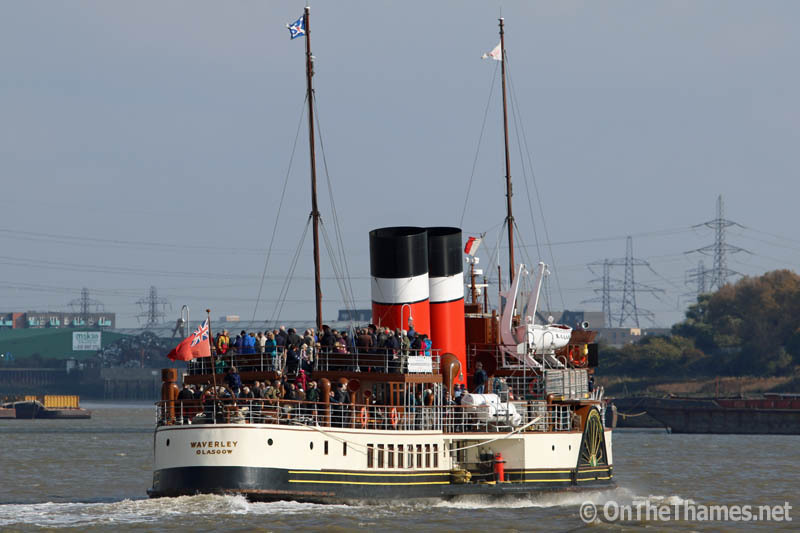 Don't forget, also, that Waverley appears again in the On The Thames photo calendar for 2016.